Montserrat Monastery is located in a multi-peaked mountain near Barcelona. known as the most significant mountain in Catalonia, Montserrat has an important meaning for the Catalan people. It is also well known as the site of the Benedictine Abbey, and that is why lots of pilgrims also visit this iconic monastery. A day trip to Montserrat is a great way to spend your day out of the city. This trip is only one day trip we recommend. 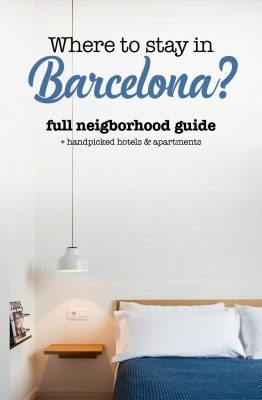 We collected even +32 more day trips from Barcelona. How do I get to Montserrat from Barcelona? And what should I bring? We are here to solve all your doubts, and in case you might have any other (except the weather forecast, we can’t predict that) you can always contact us. If you look at the rock formations from the distance, the name suddenly makes total sense. Keep an eye out! Montserrat is totally amazing, and it is also the scenery of one of our 54 romantic things to do in Barcelona. Understanding the meaning: Mont means mountain and Serrat means saw! 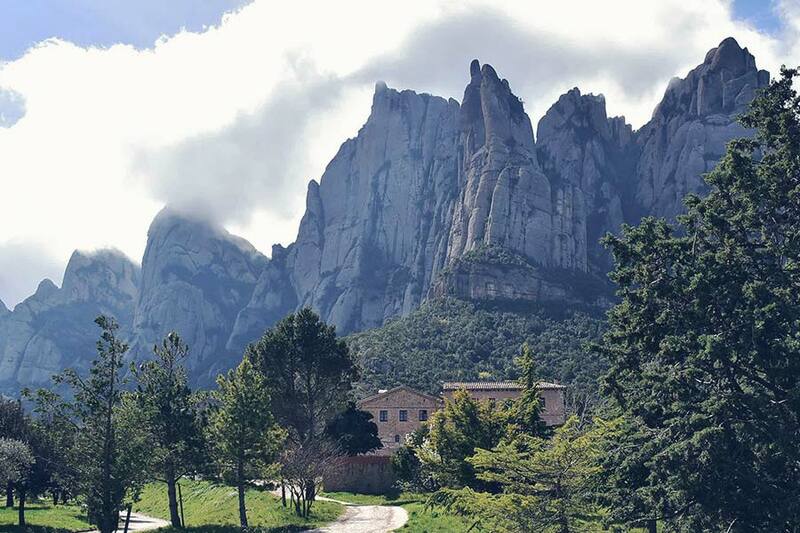 In Montserrat you can visit the Sanctuary, kiss “La Moreneta” (the Patron Saint of Catalonia), see the Monastery or just walk around and enjoy the nature and the stunning views. There is also a museum with some Picasso and Caravaggio masterpieces. Here is located one of the oldest and recognized Choir’s school of Europe, so you are lucky, you may be able to hear the boy’s choir during your visit. 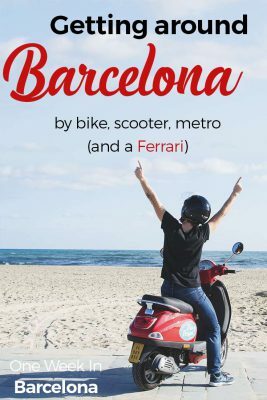 We talked about all the best ways for getting around Barcelona. But what about getting out of the city? There are so many possibilities to get to Montserrat Monastery. 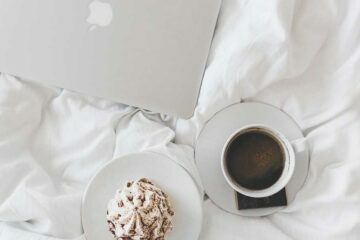 We list the different options you can consider. It includes public transport like trains and buses as well as renting a car. And there is still a cable car to consider – and a Ferrari! The easiest option for getting here is by joining a tour. 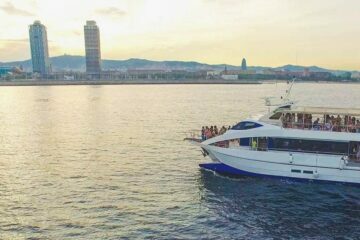 Find more info with www.bcn.travel/montserrattour. 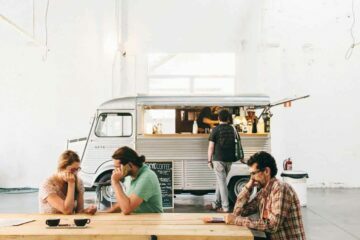 For the independent traveler, here are all the different ways to get here. Just click on the one you’re interested in or simply keep scrolling. There are different roads depending on where are you actually coming but do not worry, Montserrat is very well connected. Once you arrive, you must leave the car on the parking spot. Consider that the parking gets full quite early, check the parking fees for Montserrat here. For more indications about how to get to Montserrat by car, check the Montserratby official website. The train company which covers Montserrat route is FGC (Ferrocarrils de la Generalitat). 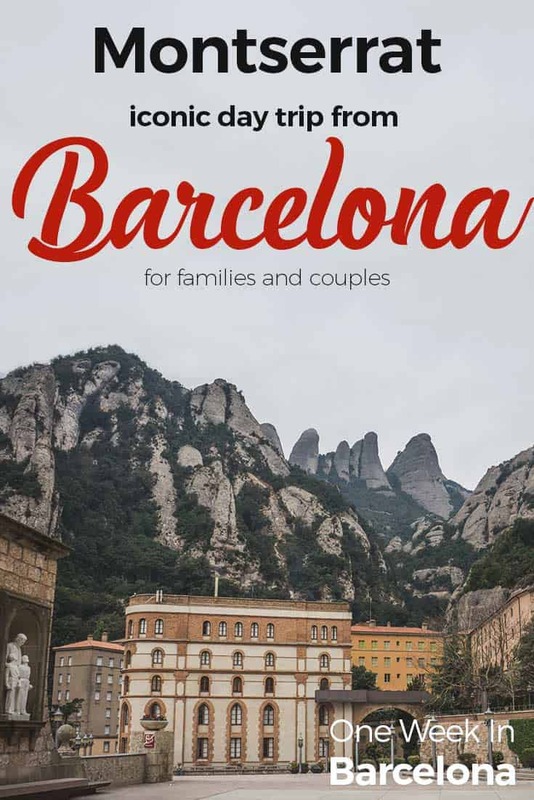 The train to Montserrat departs from Barcelona – Plaça Espanya Station, and leave frequently. Look for the line R5. This is the Barcelona – Manresa line. It links up with the Montserrat cable car and rack railway stations. Pay attention once you pay the ticket. You have to choose if you prefer cable car or rack railway when buying it, and you cannot change it afterward. If you choose to go by train and Cable car, make sure your ticket says BILLET AERI. It takes approximately one hour to get to the Montserrat train station. You must get off at the station: Aeri de Montserrat. The cable car ride is just 5 minutes. Even though you will have to stand, you will be able to enjoy amazing views. If you prefer to go by train and rack railway (called cremallera). It will take approximately one hour to get to the Montserrat train station. You must get off at the station Monistrol. The journey takes approximately 15 minutes. You will be able to seat. You can also take the bus from Barcelona Sants Bus Station (city center). It has only one departure from Barcelona early in the morning. It has also just one departure to come back from Montserrat in the evening. You can find more information at the bus company website. To be clear: Not by foot from Barcelona actually! Many people like to hike up Montserrat for a different experience. You can check the different routes and choose if you would like it too. Consider it is a 1 hour and 40 minutes walk. The trail starts at Monistrol. #camiamontserrat#com trobava a faltar la muntanya!!!! The company DriveMe offers as well Ferrari tours to Montserrat. Now, that one is certainly unique. You can find more information directly with DriveMe. What to pack for Montserrat Monastery? 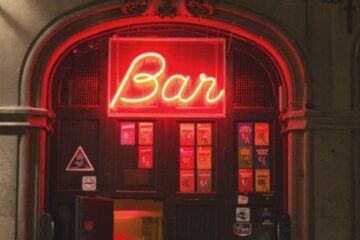 Montserrat is a quite convenient day-trip, as there are also bars and cafés. In case you forget your food, you will be able to buy the essentials. Nevertheless, if you plan to walk up to the mountain, we recommend packing enough water and food, as well as sun cream if it is a sunny day. You still want to enjoy your Barcelona trip, don’t you? As you can see, there are plenty of different ways for transportation. 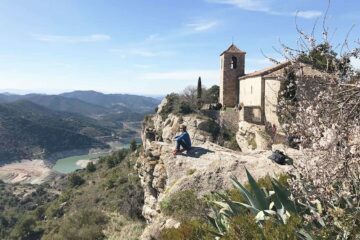 It’s a beautiful day trip to consider, especially for families and couples to spend a day to explore nature and Catalan history. And again, the easiest option to get here is by joining a tour. 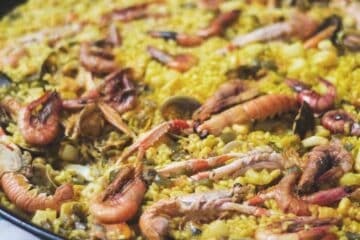 We listed also our favorite restaurants in Barcelona to eat like a king – and not a tourist. 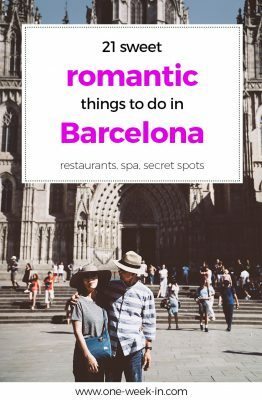 As well as many other information about Barcelona. What is the Montserrat like in November? Still sunny? Or is it snowy possibly? It will not snow in Montserrat in November. You should bring a coat though.